[REVIEW] Blue Alpha Gear’s EDC Belt Features A Hybrid Cobra Buckle — Where Has This Been My Whole Life?! When Blue Alpha Gear, one of the newest gun belt and holster makers out there, started a Kickstarter campaign to design a new belt, they had our attention. Known for quality and amazing reviews by a growing customer base, we had to try out their new hybrid Cobra buckle for their EDC belt. Turns out, there’s great things in store. One of the biggest hassles with the big Cobra clasp release buckles is they don’t fit through the trouser loops on most conventional pants. It’s a hassle to weave it in and other. 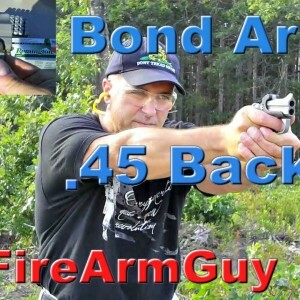 We don’t all wear 5.11 Tactical pants everyday, so sometimes it turns into a real nuisance. And who doesn’t like Cobra clasp? 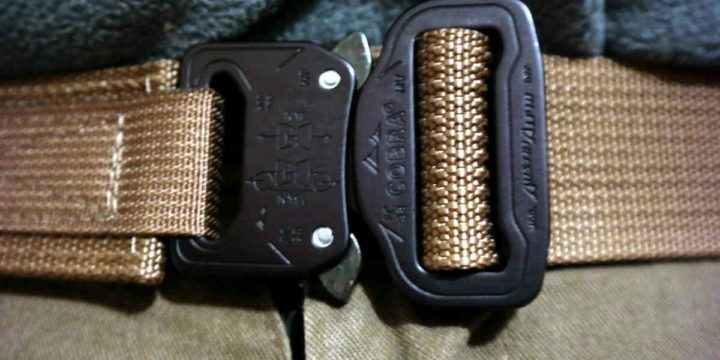 It’s a quick release buckle that can withstand some serious pressure. It’s all metal design makes it look instantly more appealing and it’s just well suited for gun belt material. Blue Alpha Gear wanted to use a hybrid Cobra clasp for its 1.5″ EDC belt. 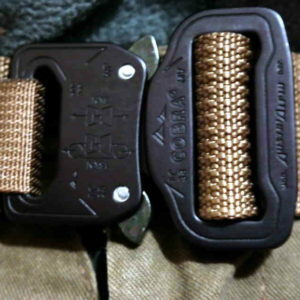 This means using two different sizes of Cobra buckle. Unfortunately, it also required some retooling on behalf of their buckle maker. The final product, though, is that the darn thing to be able to go into conventional 1.5-1.6″ belt loops without getting caught up. To do this, they needed to actually get a new type of buckle engineered. 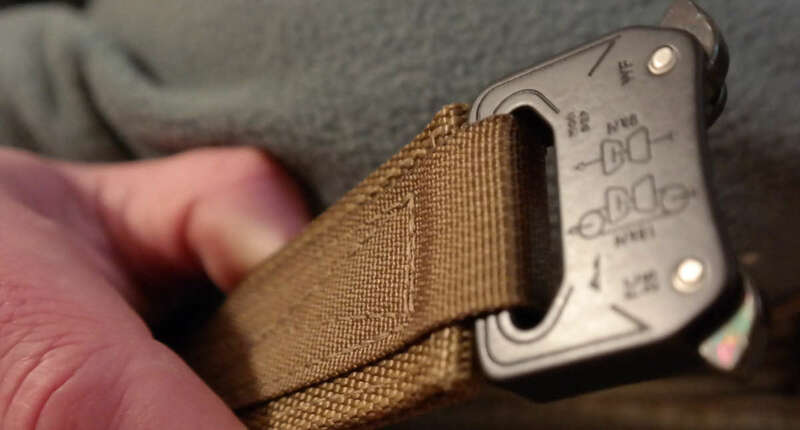 Hence, the Kickstarter campaign appears focused on getting them the type of buckle they need to make a quality product they feel benefits all of us. And, at a projected price point of $50 with free shipping during their Kickstarter promotional, that’s not a bad deal at all. The cool thing about this belt is it truly fits all occasions. I’d feel comfortable wearing it in a business suit just as much as I would a pair of work trousers. 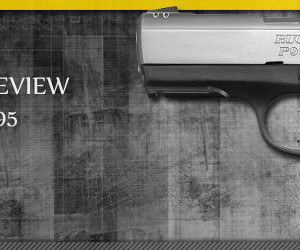 Because it’s adjustable, it can accommodate a range of different handguns — and I just dig the webbing material they decided to go with. The stitching on the belt is durable and keeps its form well. This belt actually stood up to the “stand test” where you hold a gun belt out horizontally and see if it maintains its form. The original Cobra buckle 1.5″ EDC belt from Blue Alpha Gear does precisely that. With this new hybrid Cobra buckle they’re using, we see the exact same quality with some additional convenience. But don’t just take our word on it. Their current Kickstarter campaign has options to advance purchase your own. We were lucky enough to get our hands on one because we initially wanted to take a look at their Side Release buckle EDC belt. 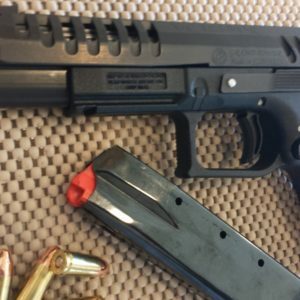 We had been hearing some very good reviews from readers and other people in the concealed carry community and we wanted to see what all the fuss was about. 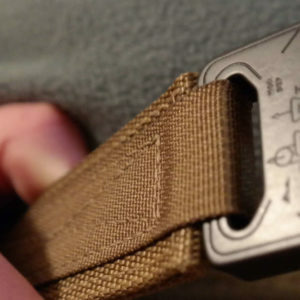 If you care to check that out, our review on that SR buckled belt is here. As for the hybrid Cobra buckle EDC belt, it’s sharp as heck in appearance and definitely more than durable in practice. I like the webbed material they used because it has just the right amount of give but it still supports the heck out of my lower back. That makes a real difference. Add to that free shipping, I think we have a real winner in terms of an affordable, practical, everyday belt that you can wear to work — no matter if you work in a skyscraper or on one. Please do check out their Kickstarter campaign for their 1.5″ EDC belt with hybrid Cobra buckle. They’re unabashed in admitting that their belts are made in the United States and are backed by a quality, small American company. The Kickstarter campaign is a great way to get this belt at a very reasonable price. When we talked to Blue Alpha Gear, they said they intend to sell these belts for around the $70 price point. 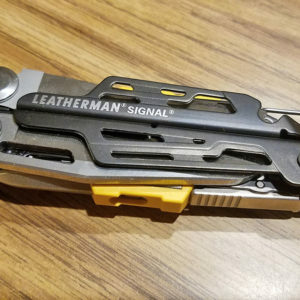 You should still be able to pick up their original catalog — the Cobra buckle 1.5″ EDC and the SR buckle 1.5″ EDC for their respective prices shown on their website.